Super Grip to benefit young netballers. Dynamotion flex grooves for enhanced forefoot stability and maximum ground contact. Non-marking gum rubber outsole for strong on-court grip. 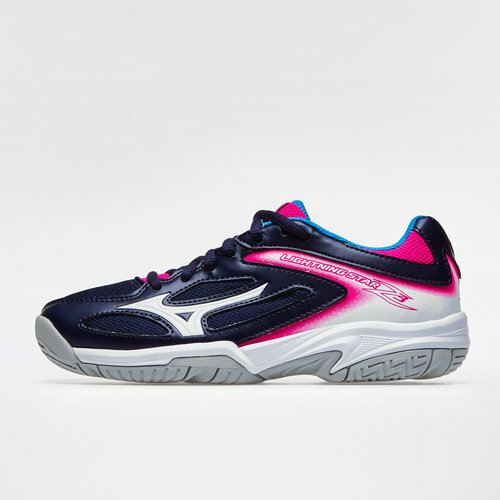 Sorry, product 'Wave Lightning Star Z3 Kids Netball Shoes' cannot be personalised.